Hotel Sogo, the largest hotel chain in the Philippines and one of the best and affordable lodging companies in the industry, officially opened its 36th branch – Hotel Sogo Yabut lately this year, as part of the corporation’s aggressive expansion to render and cater more guests. (From left to right) Mr. Juanito B. Co, Hotel Sogo Sector Head, Fr. Romeo Castro, Christ the King Seminary, and Ms. Maria Suzette Geminiano Marketing Manager. Attended by local media partners, bloggers and its executives, it was a day to remember as the management celebrated the official opening of the branch with a Holy Mass, led by Fr. Romeo Castro of Christ the King Seminary. It was followed by the ribbon cutting headed by Hotel Sogo Yabut Manager, Mr. Cris Arman Velasco, Sector Head, Mr. Juanito B. Co, and Marketing Manager, Ms. Maria Suzette G. Geminiano. The event was capped with a motorcade to Kalayaan Ave. via the streets of Ramon Magsaysay Ave. and Nuestra Sra. De Guadalupe where flyers and different merchandises were given as souvenirs. Despite being a newly situated branch around the metro, Hotel Sogo Yabut seems to show promising results in the coming years as it is located in one of busiest cities in the country. Hotel Sogo corporate marketing team together with the press and bloggers during the grand opening of Hotel Sogo Yabut. They continues to grow and innovate as new branches are situated in different strategic locations with top-class services at affordable rates. The company promises to reach and cater more guests as it will open its 37th and 38th branches this year in Alabang and Makati Ave.
Hotel Sogo Yabut is located along Sgt. Fabian Yabut St., Guadalupe, Makati City. For inquiries about Yabut branch, you may contact 816-2980 / 816-2979. 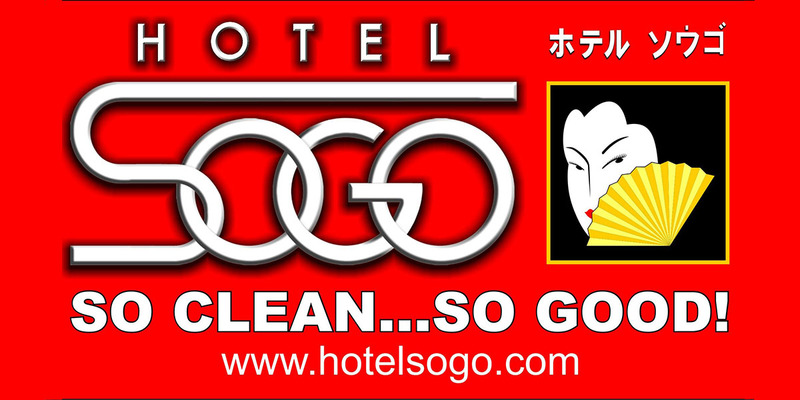 To find out more about this and other events and promos, like / follow us on Facebook (www.facebook.com/HotelSogoOfficialPage), and Instagram (@hotelsogo).